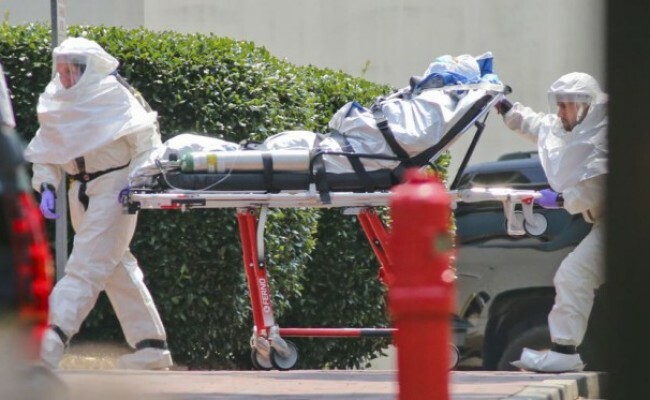 The alarming death in the United States of Ebola carrier Thomas Eric Duncan has created hysteria in the community and stigmatized Africans. If victims are quarantined at home in Liberia or USA, we must supply them food and drinks. His hosts did all they could: told two ambulance paramedics that they can’t enter the house until they put on masks and gloves, since their visitor just came from Liberia. Hospital had been informed on earlier visit two days prior, but they sent him home. Mistake is human and hospitals will make mistakes we must learn from. Emergency physicians are overwhelmed. There is need to understand that Ebola is one of those exotic diseases like Marburg virus and Lassa fever. Stigmatisation is counterproductive. In 2008 Marburg virus similar to Ebola was contracted by an American woman travelling in Uganda. She was treated in an American hospital without spread of disease. It is true that Ebola virus is more dangerous and a more fatal disease in Africa’s weak and poor healthcare infrastructure. But in a Western country like United States where Flu virus kills many people every year and where Enterovirus is ranging from South to North, with about 15 million infection yearly, Ebola hysteria is misplaced. Uninformed persons watching Ebola on television, ravaging folks in Liberia, Sierra Leone and Guinea, may think differently. This year in United States, Enterovirus D68 has been sending more children than usual to the hospital, many with severe respiratory illnesses. Those more vulnerable are usually children with history of asthma and breathing problems. Most of these children grow up in cleaner environment than their parents that grew up in the farms with more immunity to natural dirt. Even great sanitation has its own effect when struck by any infection. In the USA, Ebola carriers can be easily isolated or treated. 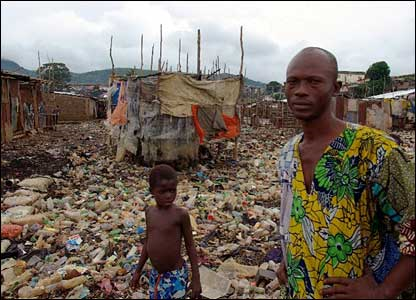 It is more devastating in Liberia and Sierra Leone because the countries were barely recovering from civil wars that decimated the fragile infrastructure including healthcare. Like most African countries, basic infrastructure was not solid to begin with. So it should not be surprising that Ebola virus took so many victims. The fact is Ebola is harder to catch than most viruses, until there is mutation from non-airborne we know to a more contagious genotype, Ebola is not easy to catch. So far, one study claimed Ebola can be airborne and contagious has not been backed up from other studies and more important from empirical experience in Lagos State of Nigeria. This is very important because of the proximity of health care workers to patients that are needed for cure and prevention. There are stories about how viruses transfer from animals to man in the jungle. The same was true when we heard about Bird Flu virus from other lands coming to Africa. We cannot not stop or quarantine birds. Each time we hear about diseases from a different land than ours, certain fears creep in. The Fear of HIV and where it originated is still discussed today traced back 1920. So far Ebola has demonstrated that it is contagious only when carriers become symptomatic. Until it is demonstrated otherwise, fears of Ebola like that of equally fatal HIV must be put into perspective to increase our efforts for prevention. We must remember that at one point, the identities of HIV carriers had to be made confidential to encourage more people to come out, for treatment. 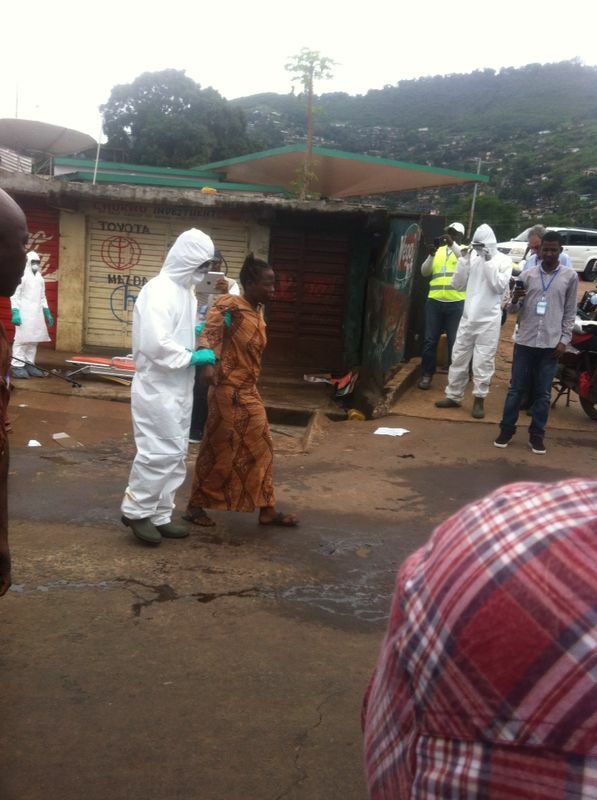 The way the Press dug for the identities of Liberia Ebola patients was unhelpful. There used to be a time when you could go to Britain from anywhere and obtain one of the best healthcare in the world; no more! The only people that can go out of Africa and get the same type of healthcare anywhere in the world today are the very privileged, rich or politicians. This may explain why most of the people caught in the Ebola quagmire are the poor living from hand to mouth, while some of the dwindling middle class became collateral victims. The Prime Minister of Liberia had to fire some highly placed Government officials that ran out of the Country out of fear of Ebola. These are the ones needed to help the people overcome Ebola misfortune they did not create but forced to bear because of their poor circumstances. So while the rich can afford to get medical treatment outside or flee, the poor folks are stuck. Some years ago, public health workers were warning about the return of infectious diseases. The antibiotics that were so reliable against most bacteria were becoming ineffective against superbugs. It seems that some bacteria were able to feed on them. Moreover, the best ammunition against viruses was vaccines that were effective against old diseases but not so great against flu virus because of mutation each season from the last. Nevertheless, immunizations saved many children and were given periodically from few months and booster shots thereafter. As if that was not complicated enough, we had activist parents in the families protesting against immunization. If the protest was limited to a family alone, the consequence could have been obvious. But they infect other children in day care or schools. Then some families refused to take polio vaccine in Nigeria for religious or birth control reasons. Every few years, whooping cough (or pertussis) reappears. What would the world be without measles-mumps-rubella (MMR) vaccine and others that help us stay healthy from childhood, increasing our chances of living longer. However, in the western countries where infrastructures exist and healthcare is almost a right, Ebola virus does not stand a chance. In the United States for example, the debate about health care is in the name, whether it is Affordable Care Act or Obamacare. Indeed, some states decided to opt out completely. Even those enjoying Government health care as Medicare and Medicaid want the Government out of their healthcare!